Fileserve – $25 per 1000 downloads! Today I want to tell about files sharing service which is called Fileserve. Well, it’s already working about 6 months on the files hosts market. From the start of Fileserve, to be honest, I didn’t believe that they can work stably for a long time. But months have gone and Fileserve is live and works. So, I decided to try it and I understood that service is quite good for earning on files downloads. So, what does Fileserve offer? To be counted and pai on fileserve, your file must be bigger 1 Mb. As you see, Fileserve counts and pays downloads from all countries around the world. Fileserve allows unlimited downloads for anonymous and free users. All these downloads will be paid, so Fileserve affiliates can maximize their profit for each file on Fileserve. For example, if an anonymous user will download six files from your account, so Fileserve will count 6 downloads. The main thing for Fileserve is that anonymous IP is unique for each file. If one file will be download from 1 IP, for example, 4 times during 24 hours, so it will be counted like 1 download. But, as I’ve read earlier, if from 1 IP 6 your files will be downloaded, so Fileserve will pay you all 6 downloads of your files. By the way, as you see, files host Fileserve doesn’t link their payout rates to any levels, ranks or ratio. So, you can earn on files bigger 450 Mb, which are downloaded from USA and UK, $25 per 1000 downloads. It’s real payout rates. I tried to work on Fileserve, uploading big files and posting on forums. Well, what I can say, my average rate was $20.43 per 1000 downloads. You can say that it’s less than promised $25 per 1000. But! More downloads of my files were counted on Fileserve in comparing with Hotfile, Depositfiles or Uploading. Fileserve doesn’t have any ratio like Hotfile or Uploading. Of course, Fileseve’s not so good as Oron or Filesonic if you prefer to earn on premium sales. Although, Fileserve rates are slightly less than Filesonic download rates $30 per 1000 downloads, but Filesonic now works ugly, so people may try to earn on Fileserve like alternative of Filesonic. By the way, you may try to use both Filesonic and Fileserve in depending of your files size and traffic. Files host Fileserve offers good condition for working. They have easy, quick FTP for uploads and remote upload tool from other file host accounts (see below). By the way, Fileserve offers the incentive program for websites owners. If you have website, so you can earn 5% commissions from all Fileserve premium accounts sold via your websites, blogs or forums. No matter the download links are yours or from other Fileserve users, if anyone, visiting your site, will buy premium Fileserve account, so you will get 5% of the selling price of fileserve premium. Fileserve minimum payout is only $20. Well, you can earn this sum for only 1000 downloads of your files. It’s simple! Fileserve pays via PayPal, ePassporte and WebMoney. If you have $20 on your balance, then you may request payout. Fileserve approves all requested payments every Monday and finishes payouts thereafter within 2 days. So, if you wish to try Fileserve, then just click on the banner of Fileserve. Register, upload your files and earn $25 per 1000 downloads! 6) Well, click on upload button. 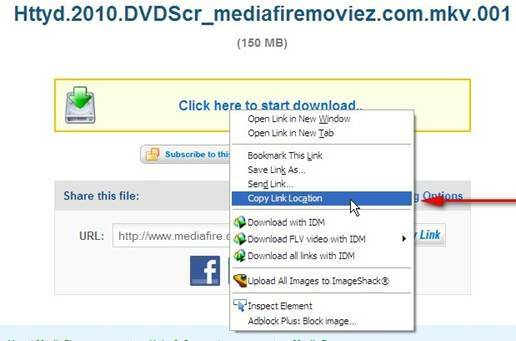 Mediafire link will be added in queue for remote uploading to Filecerve. In a few seconds files from mediafire will be uploaded to your Fileserve account and you can see them listed on your My Files page. -->Why I can't earn on files hosts? see, you should go in your fileserve account to the page fileserve.com/remote-upload.php. there you need to enter download link, and insert your login and pass to filesonic premium account and click to submit. that’s all. Im kinda confuse on how to remote upload via Fileserve. I have a premium account with filesonic and want to try out fileserve. However, it is different compare to mediafire. fileserve pays only for downloads. they don’t share any premium payments with webmaster. to make remote download from filesonic you need to have Filesonic premium. and when you input for upload your filesonic remote link, this link shoulg include your filesonic login and password. but i’m not sure what filesonic will think about it. because from their side, such login and password sharing from premium account may value as their rules violent. Gald yu are helping may webmaster to learn n earn through your site.. Does File Serve pay on premium sales to the webmaster? And does it support remote upload from filesonic n? Hello Mike. Do you know English exellent? Thank you very much, the remote upload feature is also available in oron with mediafire and other. Write a comment to "Fileserve – $25 per 1000 downloads!"